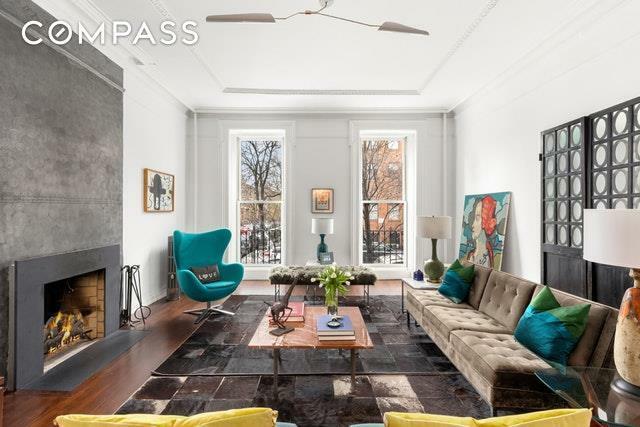 An exceedingly rare opportunity to own an enormous 3 bed/2.5 bath Duplex Condo in a grand, 25-foot wide townhouse in Cobble Hill! 232 DeGraw Street, Unit 1 has 2,420 square feet of interior living space, plus an additional huge lush, private garden.This exquisite home leaves nothing to be desired. The Parlor Level combines the grace and grandeur of a classic 19th-century townhouse: extra-high Parlor Level ceilings and dramatic floor-to-ceiling windows and its incredible, extravagant 25 width, found in only the grandest of Brooklyn brownstones. The Parlor Level also boasts a spacious living room with working fireplace, a large dining room set for 10 and a massive, light-filled kitchen featuring Miele and Bosch appliances, granite countertops, and a tremendous amount of storage, as well as an office area and powder room. Down the custom stair, the Garden Level are three generously-sized bedrooms, a luxurious ensuite master bath featuring beautiful marble finishes, Kallista fixtures and a separate, recently-renovated full bath. This level also has a sprawling den, perfect as a playroom or screening room. The additional front entrance under the townhouse stoop opens into a gracious entry area, with plenty of room for bikes and strollers. A laundry room, art studio and even more storage is located in the cellar. 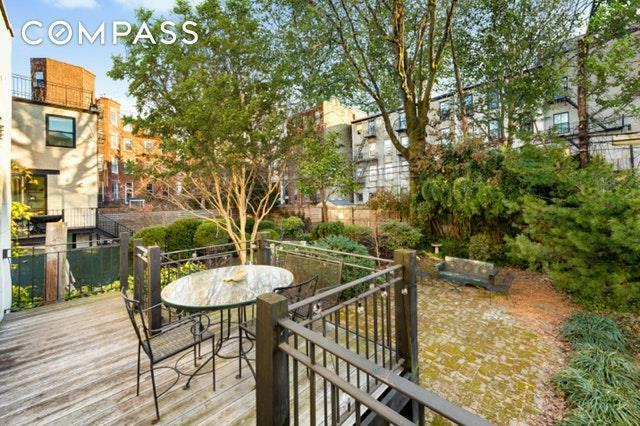 Options for outdoor entertaining abound, from the huge deck located right off the kitchen to the massive private garden. Gleaming Brazilian walnut floors span the entire home. This home also comes with exceptionally low taxes and common charges. 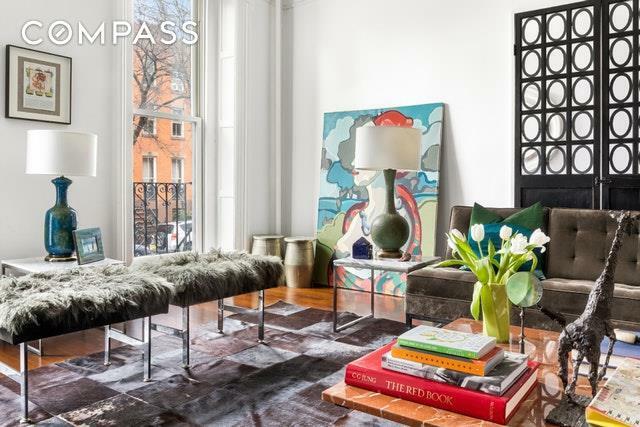 Stunning brownstone blocks, top restaurants, and chic boutiques are the signature of this sought-after neighborhood and 232 Degraw Street is right in the heart of everything. 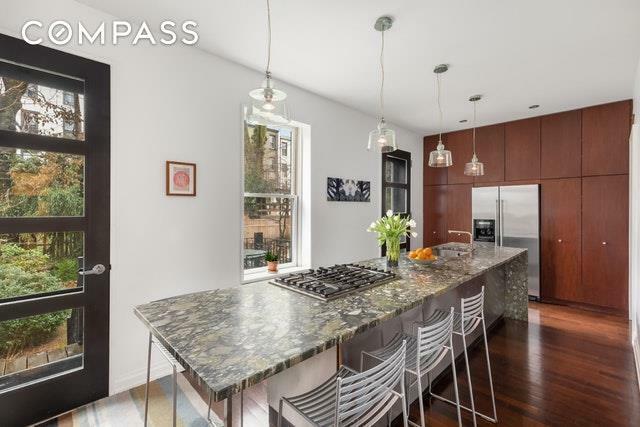 The search for your Cobble Hill dream home is over!